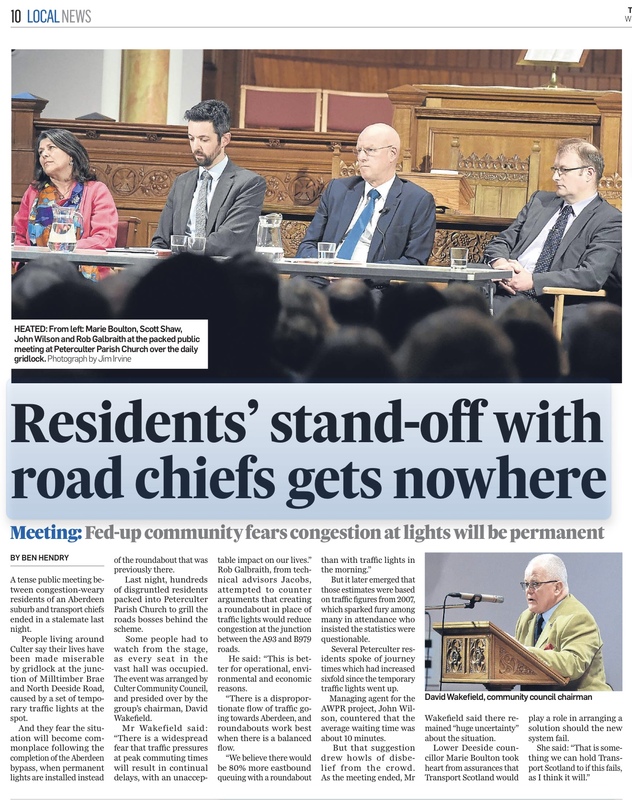 On Tuesday 5th December Peterculter Parish Church was filled with Culter residents who turned out to express concern about the design of the new junction at North Deeside Road and Milltimber Brae which is being constructed to allow access to the AWPR. Representatives of Transport Scotland, AWPR and Jacobs were in attendance to address concerns and to explain the reasoning behind the design of the junction. A full report on the meeting will be available soon.